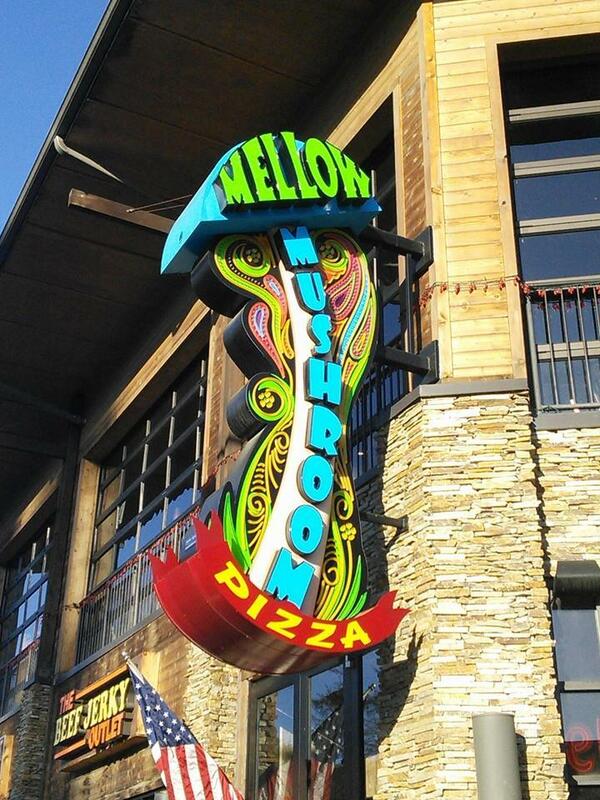 For pizza that is out of this world, try the ​Mellow Mushroom​! While you&apos;re waiting for your entrees, order up some of their delicious appetizers from the munchies section of their menu. Their menu includes build-your-own options for salads, burgers, and pizzas, so you always get exactly what you want! Bubba Gump Shrimp Co.​ is located just blocks away from the Gatlinburg entrance to the ​Great Smoky Mountains National Park​. After you&apos;ve enjoyed an afternoon on the trails, you can stop by for a well-earned meal! If you&apos;re looking for some deals, they offer a happy hour menu, available Monday through Thursday from 2-5 p.m. In addition to their shrimp and seafood dishes, their regular menu also features appetizers, soups, salads, and sandwiches. Bubba Gump has a special menu for kids as well. They can choose from classic entrees like pizza and burgers as well as a side, jello, and a drink. Pull up a chair and taste some of Tennessee&apos;s best BBQ, steak, and ribs, at ​Calhoun&apos;s​! If you have a larger group, they offer ​family packs​ that can feed 5 or 10 people. They even offer a kid&apos;s menu, which is great if you have any picky eaters. This restaurant is located in the heart of Gatlinburg and is styled as a cozy mountain lodge. So, if you&apos;re looking for a true Smoky Mountain dining experience for a fair price, this is the place to go! From piled-high pancakes to delicious omelets, ​Flapjack&apos;s Pancake Cabin​ has something for every early-riser! This is one of the best chain restaurants in Gatlinburg if you plan on bringing a larger group. Their modular country tables and wide-open cabin floor plans make it easy for them to accommodate any size group. They even offer daily specials including an entree and a drink that are available every weekday. If you join Flapjack&apos;s Rewards, you can receive special offers and start earning free food! For some of the best, handcrafted burgers and fries for miles around, stop by ​Five Guys​! This chain restaurant in Gatlinburg prides itself in preparing food using fresh ingredients that are sure to satisfy your cravings. In addition to their savory burgers, they also have a variety of hot dogs and sandwiches to choose from. Their fries are made from freshly cut potatoes and cooked in pure, no-cholesterol peanut oil. You can even munch on some peanuts while you&apos;re waiting for your food! Now that you know all of the best chain restaurants in Gatlinburg, it&apos;s time to start planning your trip! While you&apos;re here, be sure to check out these other ​Smoky Mountain restaurants​!